Food for the soul: Live with no excuses and love with no regrets�when life gives you 100 reasons to cry, show life that you have 1000 reasons to smile. Feliz complea�os por Frances Bobbith Cajes-Auza who turned a year wiser last Friday, April 18. A birthday celebration was held at the Cajes residence in San Jose Street, Cogon, Tagbilaran City attended by parents Rep. Roberto Cajes, Trinidad Mayor Judith del Rosario-Cajes, hubby Jun Jun, classmates and SK staff. Bobbith became the SK Provincial Federated president which the post is now occupied by her sister Jane Censoria. The same greetings (though belated) to my nephew Jhelmar Jala (a Grade I pupil of Booy South Elem. School and was awarded 4th honor with two special awards), April 13. Could it be true that the provincial capitol has hired this man whose job assignment is unknown? According to True unimpeachable Very Reliable Source (VRS), this capitol employer had worked at the office of �Chocolate Hills and tourist attractions� before he moved to another office after he had a rift with his former boss. He was �adopted� by another office though he assumed as a multimedia head in which such item in that department is nonexistent. He doesn�t work and is receiving a salary, VRS complained. �He is the last one to pass his DTR because obviously he doesn�t know what his job is in the office,� added VRS. Could it be true that a local radio station is asking for a payment for a government paid radio program which is nonexistent? According to VRS, the program tackles government projects and development was awarded to other station. �We�re in quandary why there�s such bill arrived in the office when there is no such program and contract?� VRS said. What was more surprising then was when a contract was made �available� right then and there after the bill �controversy� exploded. But the bosses had not signed it; in fact, a trusted lawyer did a Pontius Pilate and would not act until another boss would fix his signature that such contract had been made between the province and the local radio station. �You want a clue? The person is not here in Bohol as of the moment who run away to escape a responsibility when one of his girlfriends delivered a baby and she asked for money to pay the hospital bills,� VRS added. No doubt that Cristal e-College is now a leading maritime training school in the region. Last Friday, I�d the opportunity to visit Cristal e-College in Panglao town. Though it was my third time visiting the school, it was my first time to see the school�s state-of-the-art equipment and facilities installed to complement the school�s world class concept of education. Before we can consider which the best maritime school in the country is, we have to look at the history how an institution is founded. Can a newly established maritime school be considered the best without proof of knowing where their graduates are? Do they have a 100% employment? Cristal e-College though still in its infancy has been tested and proven record of producing world-class seamen. Its first batch of Maritime graduates this year has been accepted by foreign shipping agencies and national manning agencies like Consunji Shipping, Barber-Smith of Europe, Globe Masters, Galanakis Shipping and very recently the �K� Line of Japan. With very strong links to the world, the Cristal e-College listens closely to industry and to the evolution of their markets. Kawasaki Kisen Kaisha Ltd or �K� Line Group which is leading in shipping business organization centering on shipping has forged partnership with Cristal e-College among the maritime schools in the country. �K� Line creates and provides a workplace where each and every employee can have hopes and aspirations for the future, and can express creativity and display a challenging spirit. 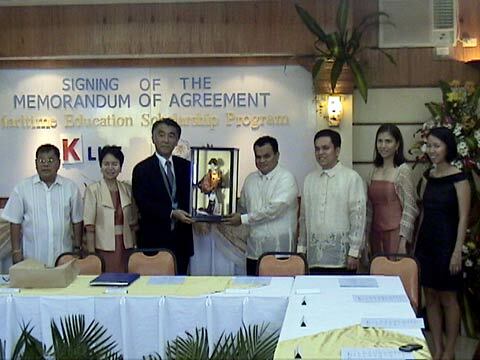 The signing of the memorandum of agreement between �K� Line and Cristal e-College was done last Friday. Victoriano B. Tirol III, Cristal e-college chairman of the board welcomed the Japanese visitors and guests. Dr. Nicerio Leanza, director of Academic Affairs and Research of Cristal e-College introduced the Cristal e-College representatives composed of Victoriano B. Tirol III, chairman of the board of Cristal e-College, Will Tyron B. Tirol, president of Cristal e-College; lawyer Victoriano B. Tirol, Jr, founder and director of Commission on Higher Education of Region VI; Dr. Cristeta Balili-Tirol, founder and director for finance, Maricel Adiong-Tirol, member of the board of directors; Jucil Marie Tirol, Cristal E-College HRD manager; Florida Clarete, college registrar; and Capt. Samuel Echin, superintendent and Matip of Cristal e-College. On the other hand, Dr. Virginia Lineses, president of �K� Line Maritime Academy Philippines introduced the �K� Line representatives composed of Capt. Kozo Eguchi, managing executive officer, Kawasaki Kisen Kaisha Ltd, Tokyo, Japan; Satoru Kuboshima, president, KLSM; Capt. Masanori Okada, manager of Seafarers Policy Team and Marine HR Group; Capt. Makoto Kono, principals� representative, Taiyo Nippon Kisen Co., Ltd.; Capt. Michinari Shimizu, principals� representative Ventis maritime Corporation; C E Masami Mitsunaga, superintendent, K Line representative, �K � Line Maritime Academy Philippines, Inc. The Philippines guests were Octavio Katigbak, executive committee chairman of the board of Ventis Maritime Corporation; Jose Ramon Garcia, president of Ventis Maritime Corporation; Capt. Wilfred Garcia, vice president for operation of Ventis maritime Corporation, Capt. Lexington Calumping, assistant general manager of Veritas Maritime Corporation; CE Peter Fadul, assistant general manager in the special crew development program of Veritas Maritime Corporation; and CE Ireneo Sombero, fleet manager, NewFil Maritime Services. The Japanese visitors presented a replica of a geisha (a Japanese woman artist) to Cristal e-College, while couple and founders Victoriano Tirol, Jr and Cristeta Tirol also gave tokens to the visitors. The visitors had toured the campus academy and training centers. �Thirty percent of seafarers in the world are Filipinos and among the best are Boholanos so we brought this education in Bohol particularly in Panglao so that we may able to give the best training to our Boholano young men,� lawyer Tirol said. The college is also expanding its program. �We are expanding our program like we are offering Applied Science in Nursing for two years and Practical Nursing for one year. We offered Criminology and HRM courses,� lawyer Tirol added. The campus has a clean, friendly environment located in the tourist island of Panglao. The college is fully accredited to offer undergraduate degrees. The Maritime Academy and Training Institute of the Pacific offers Bachelor of Science in Marine Transportation and Bachelor of Science in Marine Engineering. Hotel Restaurant Tourism Academy and Training Center offers the Bachelor of Science in hotel and Restaurant Management. After completing 1st year, students are now qualified to work as cook,/chef, waiter, food attendant/server, reservation clerk, front office agent. If a student wishes to take up Bachelor of Science in Tourism, after completing 1st year, the student is now qualified to work as a tour guide. Those who want to be law enforcers can enroll at the Criminology Academy of the Visayas. There is also College of Engineering for Bachelor of Science Mechanical Engineering and Electrical Engineering. The College of Education of Arts and Sciences offers bachelor in elementary and secondary education, and science in business administration. Cristal e-College is also the franchisee of Informatics Computer Institute, the Global Leader in IT training and Education Services. The Cristal e-College is committed to providing the students with an education rooted in a quality curriculum, personal leadership and practical application using innovative education methods to deliver learning that is interesting and facilitative to students. �At Cristal e-College we help our graduates find berths here and abroad,� stressed Will Tyron Tirol. He also added that Cristal e-College would maintain its reputation as the top supplier of seaborne manpower for the world fleet. Learn today what will be decisive tomorrow. It would be a smart decision to choose a reputable school like Cristal e-College. The glossy and colorful book �Sukaran: The Domestic Architecture of the Towns of Loay and Loboc in Bohol� published by the Ayala Foundation is now available (you can inquire the Office of Cultural Affairs and development of the Holy Name University, Tel no: 411-3432 local 134, 501-9817, 501-9287). Each Boholano home should have a copy of this book for posterity. Historian Marianito Jose Luspo authored the book with cultural worker Ino Manalo as co-author. The book celebrates and documents the traditional homes of Bohol. A conscious effort was made to confine the survey to architectural structures that used mainly traditional methods of construction, and, more importantly, materials from Bohol such as stone, wood, bamboo, nipa, cogon and capiz, the authors write. The launching of the book on April 15 was attended by luminaries from the empire Manila such as Madame Beatriz Sussana Zobel de Ayala who represented her daughter Bea Zobel Jr, Arch. Augusto Villalon, et al and Bohol officials led by Gov. Erico Aumentado and Vice Governor Julius Cesar Herrera. 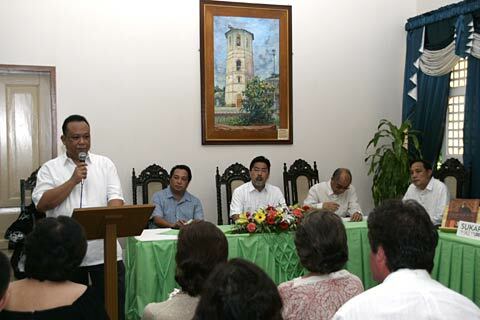 The forum �Architecture of Place: Putting Bohol in its Tourism Infrastructure and facilities was held on April 16. It was well-represented by different sectors in the society. Arch. Rosario Encarnation-Tan said: Make sure that the final vision is your vision; is what you are all about as an owner or organization. In the end, souls really want to connect with other souls. And tourists want always to connect with the owner�s soul of their appreciation in a journey. Arch. Augusto Villalon, who writes a column in the Philippine daily Inquirer, was also the resource speaker. Lawyer Lucas Nunag, proprietor of Amarela Resort was also present to share his insights and motivation of Amarela�s architecture. Rep. Edgar Chatto, the chair of the Committee on Tourism in the House of Representatives was there during the forum. Bonifacio Quirog, Jr presented the draft resolution while Fr. Ernesto Lagura, SVD of HNU gave the closing remarks. Perhaps the best resort establishment which is still fresh in my mind was the then Jul resort located in the northern flank of Panglao. I�m not an architect, but for me, it has the best architectural design. The main house is the most dominant and has the most handsome structure in the compound. It�s a robust two-storey affair fashioned from wood, coco lumber, bamboo latticework and thatch and boasts five bedrooms, living and dining areas, a veranda . It also housed the centuries-old tabletop pieces courtesy of Lyndon Boiser�s mom after whom Jul was named, who liked to collect prized pre-Hispanic and early-Hispanic. The chalet hew to the general design plan of the structures in Jul - thatch roof, concrete-and-glass walls, exposed trusswork, open floor plan. The architecture of the chalet marries, with great success, rustic amenities and cosmopolitan comforts. Jul has been gone for years� but every goodbye is a birth of a memory. Dr. Nora Stephenson passed away on April 7, 2008, TBTK president Betty Veloso-Garcia said. She was laid into rest last April 14. Dr. Stephenson was the founder of LIFE Philippines Foundation � Bohol, Inc., and had contributed so much for the well-being of the Boholanos. Her participation in the Mrs. Bohol International (TBTK 2006) manifests her willingness to forget self and to give her services for the cause of the Boholanos. Such generosity of her talent, time, and treasure was motivated by her desire to give more than is required, and did it with a cheerful spirit. She was one who brought a rainbow to someone�s life everyday. Baby Nora, as friends call her had really made a difference in many lives. She will surely be missed. May her memory live on to posterity. Let us try to nurture the seed of �living for others� which she had planted in every Boholano whose lives she had touched by her selflessness and love, added Veloso-Garcia. Simply put, even if I nominate and vote for Bilar Man-made Forest right now and it lands at i.e. 60th place but with an Official Supporting Committee, and none of the top 59 have OSCs, Bilar Forest would end up as 1st of the 21 selections to be voted upon until 2010. Since you're a part of the media, I urge you to convince the people to lobby our elected officials for an Official Supporting Committee. I know politicians wouldn't be interested since it'll just add expenses PLUS, results will be out on 2011 which they couldn't take advantage of since terms end by 2010. =) Still, this is an important step to maintain or even boost our tourism industry beyond 2010. We are inviting Schools that are looking for companies for their student's OJT program. We are welcome to give slots for On the Job Training in Cebu. As a restaurant with 4 outlets, we can give training in Inventory, Food Handling, Cashiering and Management. 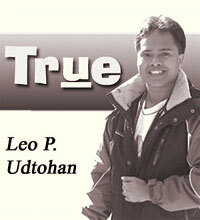 your comments on "True: Smart decisions will enrich your future"